With healthcare information more widely available than ever, consumers are boosting their health literacy, taking the initiative to educate themselves more thoroughly on how to take care of themselves. Here are some suggestions for taking control of your own health literacy. 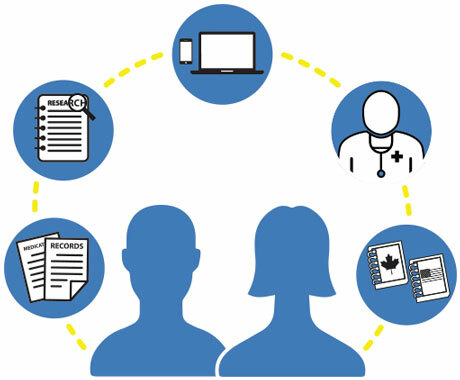 Keep copies of your health records from all providers you see and share them with new or different providers as needed. Keep a written list of the names of every medication you take and every condition you have so you can share this information as needed with new healthcare providers as well as research them to keep up on breaking news that may be related. When possible, do some screening. You may be under time pressure or other stress when looking for a provider, but it’s perfectly reasonable to try and conduct online research, read reviews, schedule visits and tours, and ask questions until you feel confident you’ve chosen the best possible option. Facilities and providers can greatly vary in quality and effectiveness. Of course, such screening is crucial when it comes to continuing care retirement communities (which also should be checked for financial soundness) and assisted living facilities. Look to do screening of these types of services in advance of when you or your loved one might need them. Even if you’re not particularly tech-savvy, it’s worth your while to learn to use some digital and mobile technology that helps you communicate with providers, track your own health, get info on demand, remember appointments, etc. This type of technology is often called telemedicine, or telehealth. Another area of health technology growing in popularity is mobile health (mhealth). You can use smartphone apps to help remind you of healthy behaviors, prescription schedules, or other assistance. Be aware of the primary authorities for information on common conditions and illnesses. Many have resources for people and their families. Examples include the Brain Injury Association of America, the National Stroke Association, the United Spinal Association, ACRM, American Psychiatric Association, and AARP. For more ideas, ask your doctor or healthcare provider which authorities (and their websites) you can research on your own time. In the U.S., download and read the U.S. government’s Consumer Action Handbook and read the section on healthcare to be clear on your rights as a healthcare consumer. In Canada, ABC Life Literacy’s Health Literacy section offers concrete tips to prepare for your next healthcare visit, including what your rights are and what to do if you feel they have not been met. Never be afraid to seek information and ask questions. Taking charge of your own health and making educated decisions about providers can be empowering. One place to start can be CARF’s provider search feature. Programs accredited by CARF are implementing best practices to help them address the unique personal healthcare factors of the people they serve.